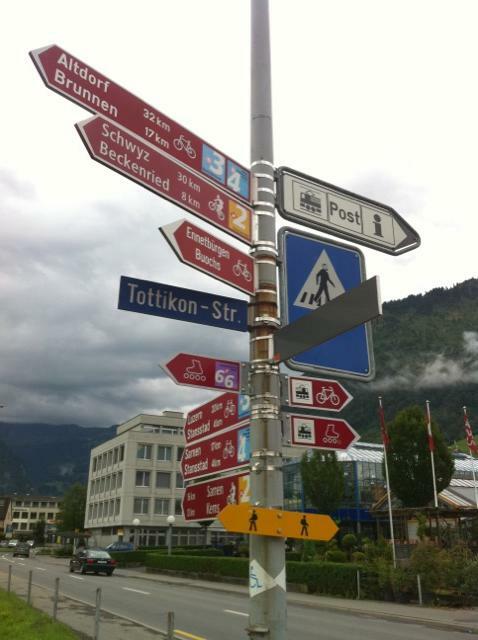 My direction is route number 3, Altdorf, 32 kms away from this place called Stans. Wonder if there is an Ogdens nearby? In taking this photo a little old lady came up to me and, half in English, half in German, told me to take the direct road. I replied with ‘Ich leibe..’ and the wiggled my hand to imply a roundabout route. She smiled and went off shopping!